Creative Europe Desk UK – England invites you to find out more about the funding opportunities for the cultural, creative and heritage sectors available through Creative Europe’s Culture sub-programme. Creative Europe’s Culture sub-programme supports cooperation and exchange between arts, culture and heritage organisations across different European countries. 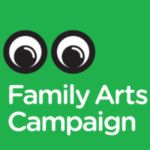 This funding programme supports a diverse range of creative and cultural projects across arts forms such as visual arts, dance, theatre, literature, performance, music, heritage, architecture, design, circus, festivals, craft, fashion, arts networks, social enterprises, and those who work in the wider creative and cultural industries. The seminar will give attendees the opportunity to hear from Creative Europe Desk UK about what makes a strong project, as well as hear from current Creative Europe beneficiaries about how to run a project. Attendees will hear from at least three speakers and have time for networking with other cultural professionals. The main focus will be on Cooperation Projects which, as with most Culture opportuniites, are centred around partnerships. PLEASE NOTE: This event is free to organisations in the creative and cultural sectors. However spaces are limited. If you are unable to attend, please let us know in advance and we will reallocate your ticket. If you are booking on behalf of a colleague please include their details as duplications may be removed. Tea & Coffee will be provided. Please arrive 10-15 minutes in advance to sign in at reception. Creative Europe Desk UK – England is in partnership with Arts Council England. Creative Europe Desk UK is ledby the British Council and the British Film Institute, and with support from the UK Department for Culture, Media and Sport and the European Commission.